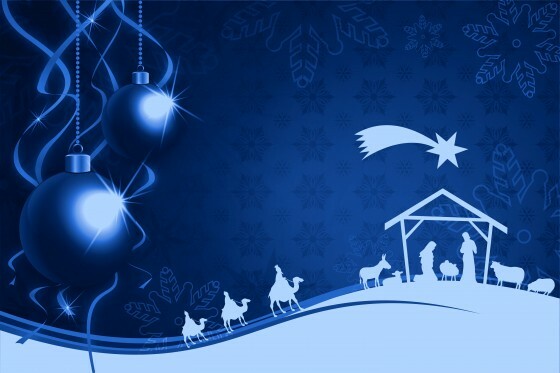 Christmas is the most recent in origin of the Christian festivals. The term “Christmas” came about by contracting “Christ’s mass.,” The actual celebration of Christmas did not come about until the Middle Ages. At that time, Christians were more likely to celebrate a person’s death than the person’s birthday. As a result, the church had an annual observance of the death of Christ and also honored many of the early martyrs on the day of their death. Before the fourth century, churches in the East—Egypt, Asia Minor, and Antioch—observed Epiphany, the manifestation of God to the world. The Epiphany celebrated Christ’s baptism, His birth, and the visit of the magi. The controversy regarding whether Jesus was truly God or a created being arose during the fourth century. This controversy resulted in an increased emphasis on the doctrine of the incarnation. The early Church sought to affirm that “the Word became flesh and dwelt among us” (John 1:14). The urgency to proclaim the incarnation appears to have been an important factor in the spread of the celebration of Christmas during the early part of the fourth century. The practice started in the Church in Rome and spread so that most parts of the Christian world observed Christmas by the end of the century. The exact date of the birth of Christ is not known; however, the December 25 date was chosen as much for practical reasons as for theological ones. Throughout the Roman Empire, various festivals were held in conjunction with the winter solstice. In Rome, the Feast of the Unconquerable Sun celebrated the beginning of the return of the sun. As Christianity expanded throughout the Roman Empire, the Church either had to suppress the pagan festivals or transform them. The winter solstice seemed an appropriate time to celebrate Christ’s birth. Thus, the festival of the sun became a festival of the Son, the Light of the world. Anyone who hangs on a cross is cursed. Jesus hung on a cross. Therefore, Jesus is not the Messiah. The early Jews did not understand that Jesus would come once to suffer and to die (Isa 53). However, many did understand the purpose of the first advent of Christ. These early Christians where considered an odd sort by the “more sane” people of the time. In the Letter to Diognetus, which dates back to the second century A.D., an anonymous writer describes a strange people who are in the world but not of the world. “Christians are not differentiated from other people by country, language, or customs; you see, they do not live in cities of their own, or speak some strange dialect… They live in both Greek and foreign cities, wherever chance has put them. They follow local customs in clothing, food, and other aspects of life. But at the same time, they demonstrate to us the unusual form of their own citizenship. “They live in their own native lands, but as aliens… Every foreign country is to them as their native country, and every native land as a foreign country. “They marry and have children just like everyone else, but they do not kill unwanted babies. They offer a shared table, but not a shared bed. They are passing their days on earth, but are citizens of heaven. They obey the appointed laws and go beyond the laws in their own lives. “They love everyone, but are persecuted by all. They are put to death and gain life. They are poor and yet make many rich. They are dishonored and yet gain glory through dishonor. Their names are blackened and yet they are cleared. They are mocked and bless in return. They are treated outrageously and behave respectfully to others. The word “Christian” has lost much of its meaning in our culture. It means “Christ in one.” As we communicate the Good News of Jesus Christ during this Christmas season, we would do well to remember that Christians are set apart by God for His purpose. We celebrate Christmas because Christ is all in one: He is the savior; He is the example of how to live; He is the One who came to free us from the penalty of our sin. We should celebrate Christmas for no other reason that Jesus came to earth for us. God could give us no greater gift. We could give God no greater gift than to live our lives as thank-you letters to the God who loved us so much (Rom 5:8). What’s all this hectic rush and worry? Why all the lights—the Christmas trees? The jolly “fat man,” tell me please! I’ll go instead to Calvary. And find the Christ—this Christmas. Please join with me as we put “Christ” back into Christmas. No Replies to "A Christmas Celebration"